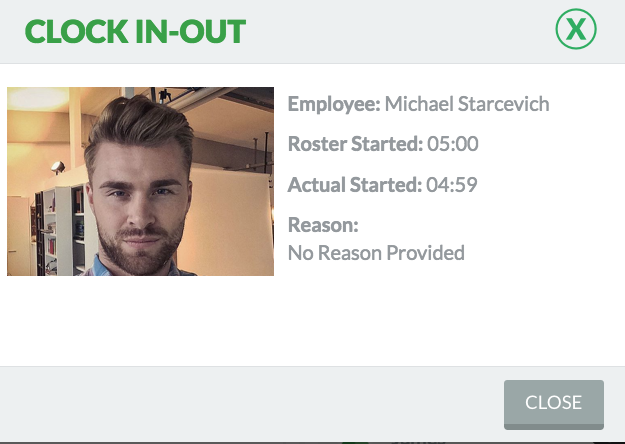 How can I view Time Clock live? If you are using RosterElf's Time Clock in your business, managers can see a live view of events on their dashboard. 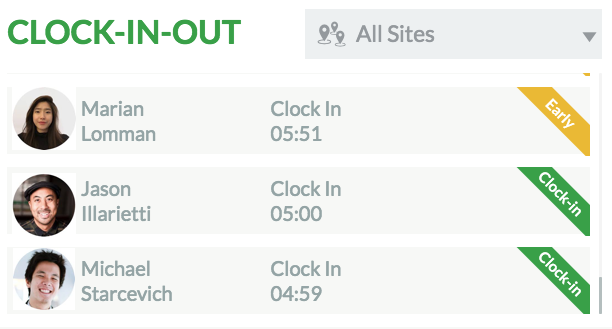 Users can filter by sites or view all sites to get a complete view of employee time and attendance on shift. Each event will have a banner to show if employee has clocked in, clocked out, on break or is running late. To view details of a Time Clock event from the dashboard, managers simply need to click on one of the events listed. This will display detail as per example below including any employee comments left on the Time Clock.